St Louis Bankruptcy Lawyer: Will Filing For Bankruptcy Ruin My Credit Rating Forever? Let’s say you’ve got a ton of debt (10K or more of credit cards, 5K or more of medical bills, 2-3K in payday loans). And your monthly minimum payments on all of these is somewhere in the neighborhood of about $700. A lot of people in this situation will take out new credit cards just so that can make a payment on the old ones (a literally “robbing Peter to pay Paul” scenario). And the reason why most people find themselves in this jam is not because they were careless with their money. It’s not because they spent too frivolously, and made really bad choices. And it sure as heck isn’t because they’ve been going on multiple vacations each year on a credit card. Rather, they recently got sick, didn’t have decent health insurance, and therefore couldn’t pay their medical bills. So they took out some credit cards in order to make those payments. Then because they lost their job, they had to start using the credit cards for basic things like groceries and gasoline. But because they reached their credit limits, they had to resort to payday loans to make ends meet. This kind of situation will wreak havoc on your credit score. But if you were to file a St Louis bankruptcy (especially a Chapter 7), then those debts are completely knocked out (as if they never existed). Once those debts are discharged by the court, then it won’t take long before you will start to see an increase in your score. Most people can expect to see their credit score rise by about 100 points within the first year after filing (and then back up to what you want it to be within the next year and a half to two years down the road). So your score won’t get back to normal overnight. But it will happen way sooner than what most people believe. And the best way to understand how the whole system works is to give us a call (or fill out one of your online forms). 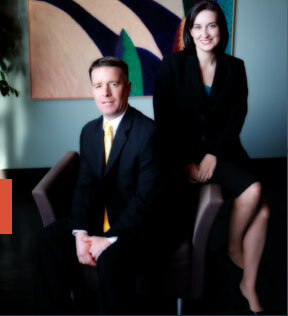 The affordable St. Louis bankruptcy attorneys at Brinkman & Alter, LLC have been saving and protecting people’s assets for years. Our goal is to make sure that you keep the assets and property you want, discharge the debts that you want to get rid of, and do it all at an affordable cost to you. All phone conversations and office consultations are free of charge. St Louis Bankruptcy Attorney: Why Would Someone Want To File A Chapter 13 Repayment Plan? St Louis Bankruptcy Lawyer: Why Would Someone Want To File A Chapter 13 Repayment Plan? St Louis Bankruptcy: Why Does A Creditor Get To Garnish My Wages Or Levy My Accounts? St Louis Bankruptcy Attorney: What Role Does The Bankruptcy Trustee Play? St Louis Bankruptcy Attorney: Does My Employer Have To Know About My Bankruptcy?